Map of West New South Wales, N.S.W. The West has Outback adventure, stunning ancient mountain scenery, exotic zoos. There are art and antique galleries, Aboriginal culture and the arts, historic townships and Country lifestyle festivals the year round. Go West! For more on NSW, see New South Wales Tourist Guide. 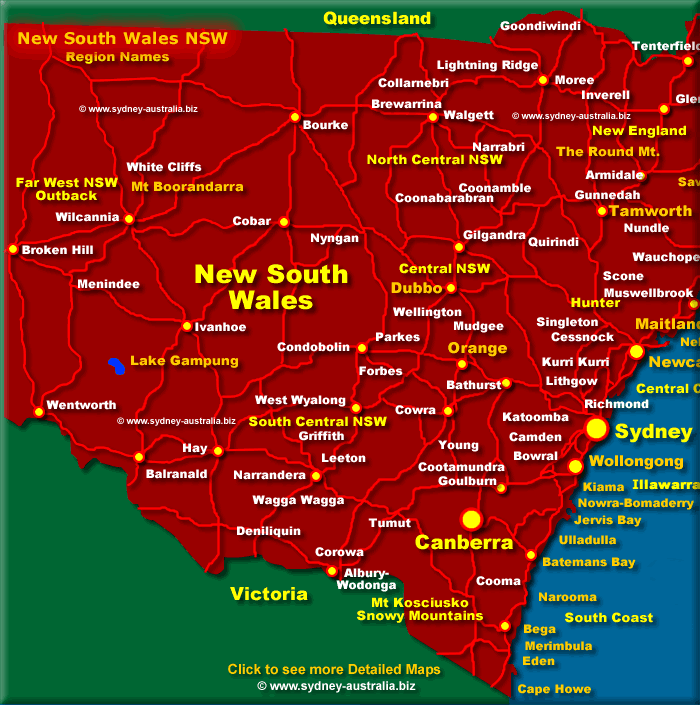 Next Picture: New South Wales East Map - New South Wales East Map. Previous Picture: New South Wales West Map - New South Wales West Map. About finding jobs, employment in Australia Work in Australia - Jobs. NSW accommodation includes hotels, motels, luxury resorts, caravan parks, campsites, bed and breakfasts, backpackers, serviced apartments and beachside holiday homes.